David Bowie has achieved the status of deity in our modern age. That’s why the soon-to-be 69-year-old artist has almost completely removed himself from the public eye and refuses to give interviews. He doesn’t have to. His position in the pantheon has long been secured. Bowie gladly plays his significance up, too. His last two releases were compilations that emphasized his first creative apex in the ‘70s, and he opened up his personal archives for the much crowed about David Bowie Is traveling art exhibit. This has allowed him the kind of creative carte blanche that few other artists of his generation can lay claim to. Which is why when he announced that his latest album would be a suite of ribald, almost Kurt Weill-like pop tunes backed by a modern jazz quartet not only did no one cry foul, it instantly became one of the most anticipated releases of the new year. With his divine status, ? 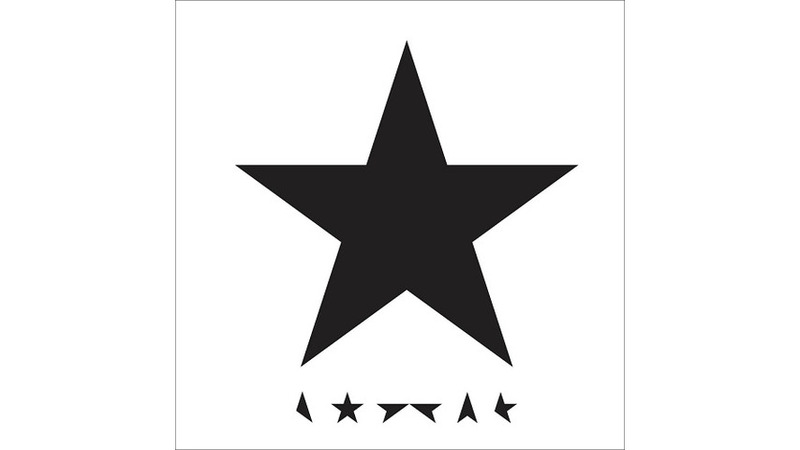 becomes, in a strange way, a worship album about Bowie. His chosen cadre of musicians certainly treat it as such. Though the hard grooves that the members of Donny McCaslin’s quartet aren’t too far afield from what they presented on their 2015 album Fast Future, it’s still obvious that they’re pulling their punches a bit, all the better to let their new bandleader run as wild as he pleases. That approach still leaves the door wide open for some remarkable sounds. The skittering 4/4 beat of “Girl Loves Me” should be the envy of every hip-hop producer worth his/her weight in vintage vinyl, and drummer Mark Guiliana’s work on the re-recording of “Sue, Or In A Season of Crime” brings back the spirit of Bowie’s ‘90s dalliances in drum ‘n’ bass to exalting effect. Things get even more interesting when the members of the group dare to take the spotlight away from Bowie. McCaslin lets loose in spare moments throughout, as on the pealing solo that rounds out the driving “‘Tis Pity She Was A Whore,” and both he and guitarist Ben Monder cut through “I Can’t Give Everything Away,” and in doing so rescue the weakest track on this album. True to the tone of the record, Bowie is almost a spectre throughout ?. His vocals are often doubled in tight harmonies, or given an alien-like echo that might as well be broadcasts from the beyond. He never sounds less than marvelous, through. After 45+ years of work, his voice has lost a little of its high end, but is possibly stronger. It’s definitely capable of reaching more sinister aims on songs like “Whore” and “Girl Loves Me,” and with a smattering of vibrato, he can unearth some still-rich wells of emotion. ?’s theatrical bent is what is most striking. That quality has been a hallmark of much of Bowie’s work over the years, weaned as he was on dance and mime. Here, it feels a little more blatant as some of the material recorded got double duty, using it for this album and for his stage musical Lazarus. In both cases, Bowie is accepting and embracing his status as demigod. The musical, based on The Man Who Fell To Earth, the book and the 1976 film adaptation that he starred in, uses songs from throughout his career, putting his presence center stage. Bowie circles back to himself on ? as well. During the breakdown of the title track, his backing vocal insists that he’s not a rock star or a film star, even though he’s played both roles. “Girl Loves Me,” on the other hand, returns to his fascination with the made up language of A Clockwork Orange and uses, at times, a similar rhythm that recalls “Chant Of The Ever-Circling Skeletal Family” from his 1974 album Diamond Dogs. Bowie’s biggest reveal comes at the end of ?, pulling back the curtain long enough to let us know that for as much of himself as he has offered up to the music lovers of the world, as the title goes, he can’t give everything away. As he sings it, it doesn’t come off as pleading or defiant. It’s a simple statement of fact that, like this brilliant album, should be more than enough for fans to absorb and appreciate.